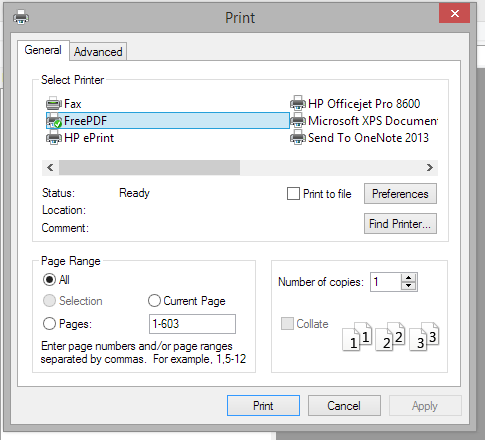 Printing from any windows application to a PDF printer is not supported in the most recent Windows versions by default. Most free applications for this purpose which can be found through a simple Google search unfortunately often come with unwanted Malware or Adware (hello, Ask.com toolbar!). Just download and install Ghostscript from here: heise.de. The website is in German, so I highlighted the download link in the image above. The FreePDF/GhostScript solution might not look shiny but it certainly does the job done (and leaves your system free of any unwanted guests). 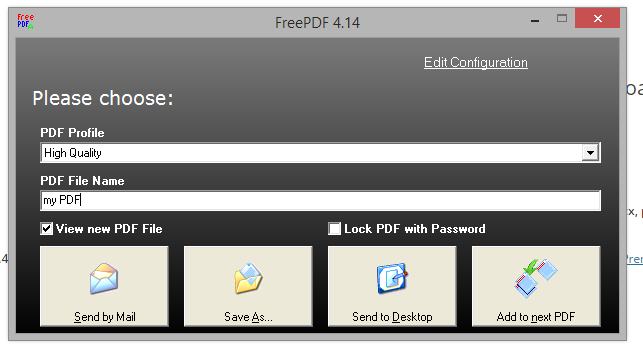 Thank you sooooooooooo much, its very hard to find any pdf printer in windows without adware or navbars. And Adobe it’s now asking for 14$ month for a similar product!